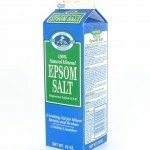 Should Epsom salt be applied to foliage or soil or both? I'm wondering if applying Epsom salt as a spray AND to the soil may be too much? Should I do one or the other or both, and how often for each? You can do both. Just don't double up the amount of Epsom Salt you use. 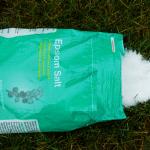 I use Epsom Salt in my garden. I generally don't like to spray my tomato leaves or my vining plants such as cucumbers, squash etc. 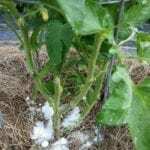 They can be susceptible to fungus and watering from above can add to it. Peppers, broccoli, cauliflower, herbs do fine with spraying. Here are links with information.